This article details a trial we did that compares organic social media performance to paid social media performance. It explains why paid social is an essential consideration for your content marketing/social media strategy. It will also give you a guide to competitor benchmarking organic and paid content performance on social media. For years now, the reach and power of organic social media – especially social media marketing for brands – has been plummeting. From 2012 to 2014, EdgeRank saw a decline of 60%, from 16% to 6.5%. 2016 figures suggested the reach was down to 2%. In 2017, the figures are lower still. However, this advice is too simplistic. It doesn’t offer any transparency on what, why, how, how much or what do you get? Choosing paid to boost your social media reach and/or engagement should be aligned with your digital marketing objectives. If you are creating content for SEO purposes, or to improve conversion rates on your site, paid social may not be appropriate. But if you want to boost brand awareness, engage your audience, increase reach and drive traffic to your site, it should be an essential part of your social media strategy. So, by spending a bit more, you can reach an exponentially larger audience. Reach is one metric. It’s how many people have had it in front of them – whether they’ve registered/seen/noticed it or not. Anyone can pay for eyeballs. I want to know if my content is ENGAGING with the audience. Is it driving action? What is the power of your content marketing on social media? How can paid social media drive engagement and what’s the ROI? 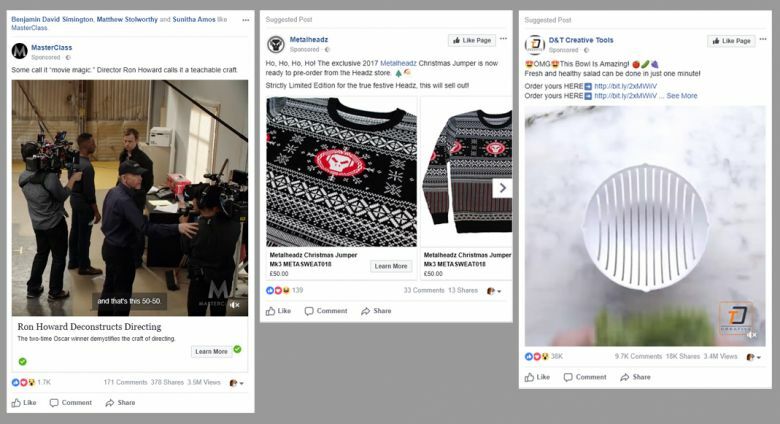 Back in 2007-2009 when brands and publishers enjoyed huge reach and subsequent engagement (comments, likes, shares, click-throughs), we could see what was and wasn’t working very quickly. Most of your audience saw most of your posts and if it was interesting, they reacted. It was a great gauge of content quality and power. I wanted to be able to get a value of an audience and/or content on social media, and I wanted to be able to compare organic and social performance. So I did an experiment. I listed six competitors of a brand we work with. I noted how many followers they had on their Facebook page. I counted up the number of reactions (likes, emojis) they had received for their last 20 posts and averaged it – removing any outliers (particularly high). I did the same for shares. I then saw what percentage of the follower number the average share rate is, to get the engagement rate. Use this handy percentage calculator. This simple equation allows us to benchmark the audiences of brands with very different following sizes. You would expect a brand with 100,000 followers to get more reactions than one with 10,000. But what proportion of that audience are you engaging with? And, therefore, what is the power of your audience and content? It’s clear that even though the audience size is very different (the competitor has 621,004 more followers), our client’s content is 1400% more engaging (reactions) and gets 250% more shares. 0.008% (share rate) SHARE RATE WINNER! 0.49% (reaction/engagement rate) REACTION RATE WINNER! NB: you might also want to find out who gets the best rates of engagement and see what they’re doing well! I wanted to see the effect of paid on social media engagement rates. And then fold that into my ROI equation to see how much we could increase the engagement rate and what the cost per engagement was. I chose three articles. One that had done well, one that hadn’t and one in the middle. We boosted each to a targeted audience with £150. The reason content feels expensive compared to, say, PPC, is because too many brands are forgetting the marketing part of content marketing. But this is because they’re creating a fat juicy worm on a hook, but not putting the hook in the water where the fish are. So, many brands don’t want to pay for content because they end up spending £500 on an article that ends up driving fewer than 100 views. No wonder they question the value of social media marketing. As this experiment shows, by putting a small amount of paid promotion behind your content, it suddenly becomes much better value – thousands of percent better! You start engaging with your existing and new targeted audiences, traffic starts growing. You may be interested in more articles about content marketing, like our guide to creating a content strategy. Or more on PPC, like Stealing other people’s treasure: competitor bidding strategies for PPC. To clarify, you don’t compare similar messages, just take an average of the last 20 - removing any outliers (ones that have particularly well or particularly badly). You might choose the last 50 to be really sure. Do this for 6 competitors, although, again, you could choose more if you like. In one case, I also compared the performance to magazines/publishers/sites in the space, not just brands. I found that traditional magazine Facebook pages in most areas performed better than brands. The message is of course important, but it’s only relevant if people see it in the first place. The relevance of your message is immaterial if no one sees it! The answer is you need both: catchy, interesting, relevant messages supported by paid so that people see them. I hope this helps, and thanks again.